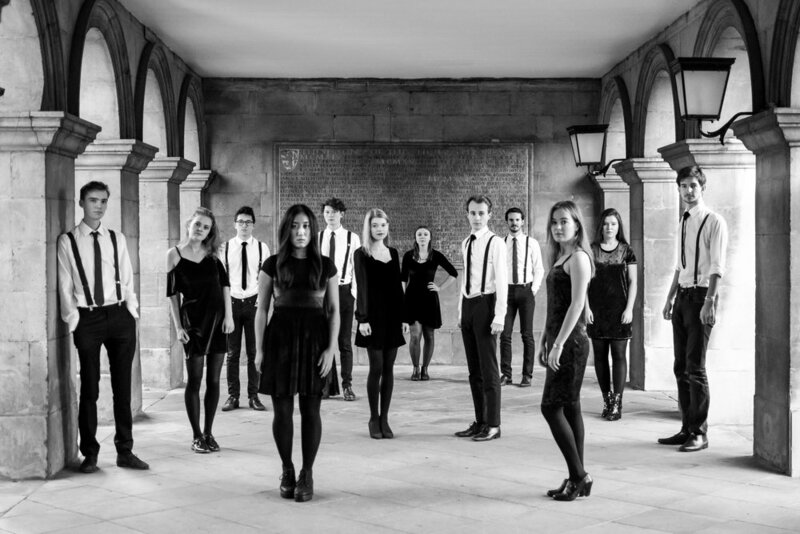 Cadenza is a 13-piece a cappella group made up of students studying in Cambridge. Founded in 1997, the group has become known for their stunning arrangements spanning a range of genres, performing in both Cambridge and further afield to critical acclaim. 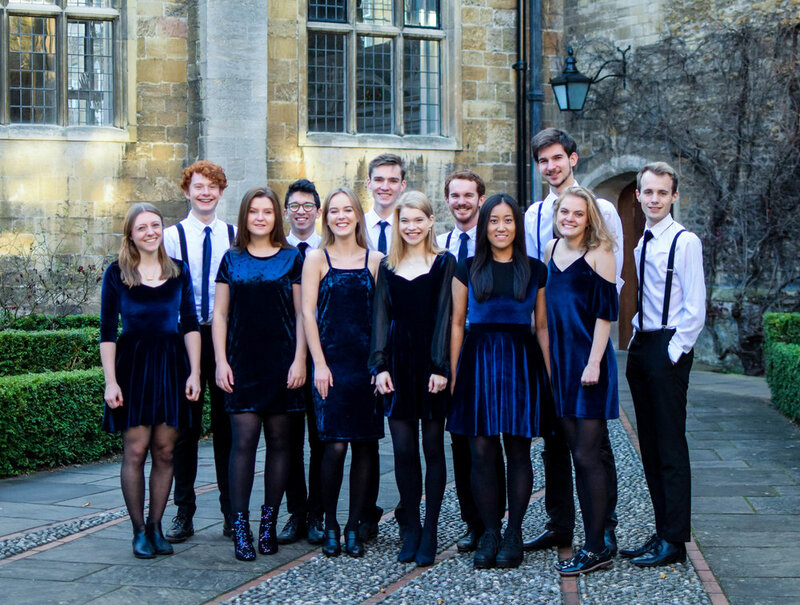 In 2011, Cadenza won the Voice Festival UK University Championships, and came first in the Cambridge A Capella Competition 2015. They were Voice Festival UK Finalists once again in 2016, coming away with an award for Outstanding Musicality in the semi-finals, as well as the award for Outstanding Arrangement for their chilling version of Hide and Seek in the final. They also reached the UK Semi-Finals of the prestigious ICCAs, placing them amongst the best a cappella groups the UK has to offer. In 2016, the group released their debut single and music video, Thrill of the Uptown Freak, which was nominated for ‘Best Mixed Collegiate Video’ by the Contemporary A Cappella Society in 2018. This year, Cadenza released their first EP, Under the Lights, which is available on all music platforms including iTunes and Spotify. They also went for the first time to the Edinburgh Fringe Festival, performing for 5 days to rave reviews and sell-out audiences at theSpace Triplex. Cadenza gigs are never ones to be missed, with jaw-dropping mashups, gorgeous musicality and sensational arrangements; so come along! I’m Rachel, President of Cadenza for 2018-19! I’m a second year student studying History at Corpus Christi College, which I balance with my love for music and all things a cappella. Cadenza has had an incredibly exciting past year - we released our EP, Under the Lights, and performed for the first time at Edinburgh Fringe, putting on a week’s run which had sell-out performances and 4* reviews – and it looks like this year is going to be just as exciting! As well as our usual performances around Cambridge, we plan to return to compete at the ICCA’s to try to challenge for the UK title. We are also hoping to create and release a music video for one of the tracks from our EP, which will capture Cadenza’s creativity and unique a cappella style. Furthermore, after the success of our visit to Edinburgh last summer, we are planning to return to the Fringe Festival in 2019, with a bigger and better run! Please take a look around our website! You can keep up to date with our latest news by liking our Facebook page and following us on Twitter! For private bookings please contact us by clicking here.